Industry Standard Architecture (ISA) has been around since the 1980’s. ISA slots disappeared from mainstream computer makers systems around 1999 and were replaced by PCI and AGP expansion slots. The Intel 845 and Intel 865 chipsets were the last to offer full ISA bus support. Industrial motherboard makers continued to build motherboards based on the Intel 845 chipset into 2015 and beyond. 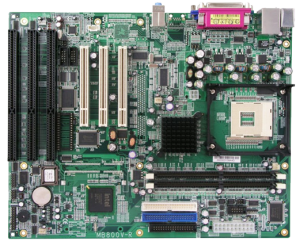 Some current motherboards built with newer chipsets use a PCI or PCIe to ISA bridge to offer support for ISA. 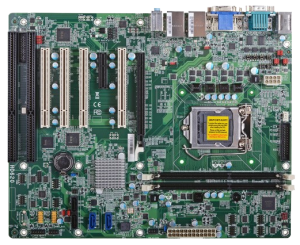 These newer chipset based motherboards seem to work well and offer the best of both worlds, ISA support with up to date powerful hardware. As quickly as technology changes it’s almost surprising that these old ISA controller cards are still in use. But when you talk to the customers you hear a common thread. Either an updated PCI or PCI express card isn’t even available or the cost to switch to the newer technology is so great that it just doesn’t make sense when what they have is working except for the old computer. That’s where we come in. We’ve been helping solve issues like this for years, hard to find systems for critical equipment. We have PCs based on Intel 845G chipsets with a Socket 478 Pentium 4 CPU with 3 ISA Slots and also PCs based on an Intel H81 Chipset with support for Intel 4th Generation Core CPU. You can see our ISA Slot Systems here.